An Auckland City Council committee set up to review dog bylaws is weighted in favour of dog owners, says a critic. Karaka Bay resident Tony Watkins is unhappy that the three-member committee includes two city councillors who own dogs and have been outspoken in favour of dog-owner rights. They are Cathy Casey, a past president of a dog owners’ group which has lobbied against increasing restrictions of dogs and Toni Millar who Mr Watkins said had been reported as wanting dogs allowed in more public areas. Mr Watkins was particularly concerned about the fate of the Tahuna Torea Nature Reserve at the northern tip of the Tamaki estuary entrance. He said the area had been subjected to debate over dog access three times in the past five years which was too frequent. Mr Watkins said a hearing into Tahuna Torea a couple of years ago had won the case for keeping the bird sanctuary dog free, but now it was up for grabs again. Mr Watkins said that because Tahuna Torea was a reserve, and home to a range of birdlife including godwits, it should be spared such uncertainty. Dr Casey could not be reached for comment but Ms Millar told the Herald she had been misquoted in the local community paper in the eastern bays which had created a false perception she was biased in favour of dog owners. The city councillor was confident she could do her job impartially. 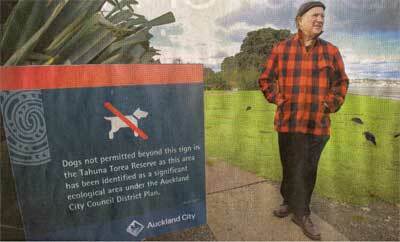 The Auckland City Council had received 195 submissions on the dogs’ review bylaw by the close off date last Friday. The dog bylaw had attracted the most comment to date of all bylaws under review. A council spokeswoman said the hearing commissioners could make a decision on the submissions and planners’ recommendations, but the council could in its meeting overturn, approve or change the final form. That had happened “once or twice” in the past, with bylaw clauses amended by the council after the hearing and at the final stage. The council’s general manager city development John Duthie said dog ownership was not considered as a vested interest and the council was happy with the impartiality of the councillors reviewing the dog bylaw. 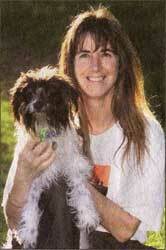 Tony Watkins is upset by the presence of dog lovers such as Dr Cathy Casey on the city council's dog bylaw committee.